With the school summer holidays fast approaching, you’re probably already thinking about fun and wholesome things to do with your kids that a) don’t cost a small fortune, and b) will be enriching for your entire family. More often than not this means getting out and about in the great outdoors, and letting your little ones blow off some steam. Research suggests that active children are happy children, and in the modern age of tablets, smartphones and games consoles, it’s never been more important to remind youngsters that there’s a great big world beyond the flatscreen, begging to be explored. Check forestry.gov.uk for your nearest trail, wetlands or forest area, pack a lunch and head into the wild. Wooded spaces conjure up all kinds of magic for children, so let their imagination take over. Adventurous kids will love to climb trees and explore, but there’s so much else you can do if your child isn’t a thrill seeker. Try hunting for different leaves and flowers to identify, find pine cones to take home and paint, or build a giant nest from twigs. Need a time out? Take a blanket, your favourite book and have storytime under the leafy canopy. Spend a whole day making the most of your local park with organised games and activities. This could be something traditional like game of football, cricket or rounders, or you could even get friends involved an set up some sports day-style challenges. Think an egg and spoon race, hula-hooping and a tug of war – feeling nostalgic? Finish with a three-legged race that’s strictly for adults. Your children will love seeing you partake, plus any tumbles will teach them that it’s ok to fall over. To the winner, the spoils (AKA ice cream). Getting your kids excited about the seaside is one of the absolute joys of parenting, and there really is so much to do once you hit the coast. As well as digging and building sandcastles, why not try a scavenger hunt, skimming stones, kite flying, or rockpooling? The beach is a feast for the senses, with so many smells and sensations for your kids to experience (and you to relive). Treat them to thick-cut chips with plenty of vinegar before driving home – just watch out for seagulls. And if they do have a fall (as children often do), help is at hand. Elastoplast has a new three-step Wound Care Kit that should be in every parent’s bag this summer. First, use the Wound Spray to clean any dirt and bacteria from the injury to prevent infections. It’s alcohol-free so won’t sting. The next step is protecting with a Water Resistant Plaster, which cushions while keeping dirt and bacteria out. 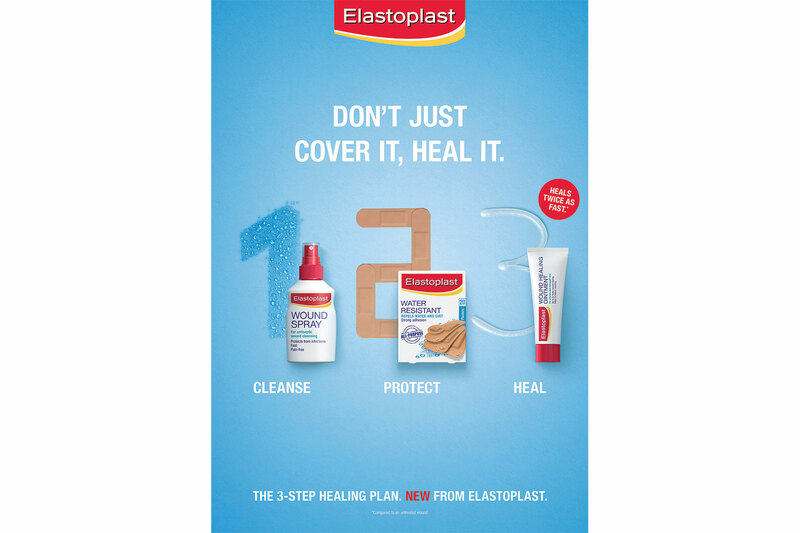 Lastly, treat regularly with Elastoplast’s clever Wound Healing Ointment, which supports the natural healing of cuts, abrasions, scratches and first-degree burns. This enables the wound to heal up to twice as fast as an untreated wound, by creating a breathable protective film that prevents the cut from drying out. It’s even vegan friendly! So with minor cuts and grazes sorted, you’ll be able to have more fun with your kids without the worry. All that’s left for you to do is hope for good weather.